You can find Korean description on the cardboard box (click to enlarge the image below). I picked up shade 23, which is the darker shade of the two available shades. Like the Missha M Magic Cushion, this product has SPF 50+/PA+++. The sunscreens used are Titanium Dioxide, Ethylhexyl Methoxycinnamate, and Ethylhexyl Salicylate. The ingredients are listed on COSDNA >>here<< and are safe to use. The Missha M Magic Cushion Moisture contains some plant oils and extracts, so if you have any known allergic reactions please make sure to check the ingredients first. The product contains Niacinamide, like the regular Missha M Magic Cushion. Moreover, it contains yeast extract, which was not part of the ingredients of the regular Missha M Magic Cushion. Like all the cushion foundations/bb/cc creams the product comes in a compact shape like regular powders do. You can flip open the lid and you will find a sponge applicator and a mirror inside. The product is stored in a container inside the compact, which is sealed by a plastic lid. This is also the part which can be taken out and replaced by a refill. 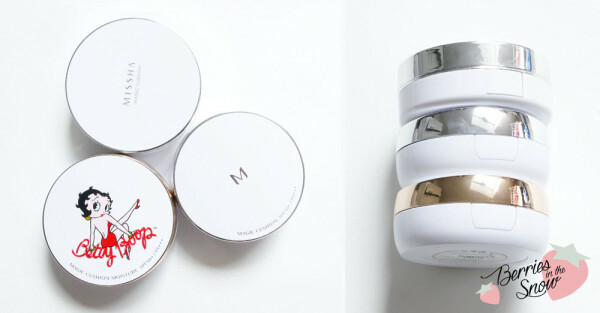 The refills of the Missha M Magic Cushion and the Missha M Magic Cushion Moisture are interchangeable. The product is soaked into a sponge inside the container and by pressing the application puff on the sponge with the BB cream you can get the product out of the container. By dabbing the puff now on your face (not pulling it over the skin!) you will get a nice and natural finish. The Missha M Magic Cushion Moisture has thereby a light, flowery scent which is kind of a signature scent for Missha BB creams. 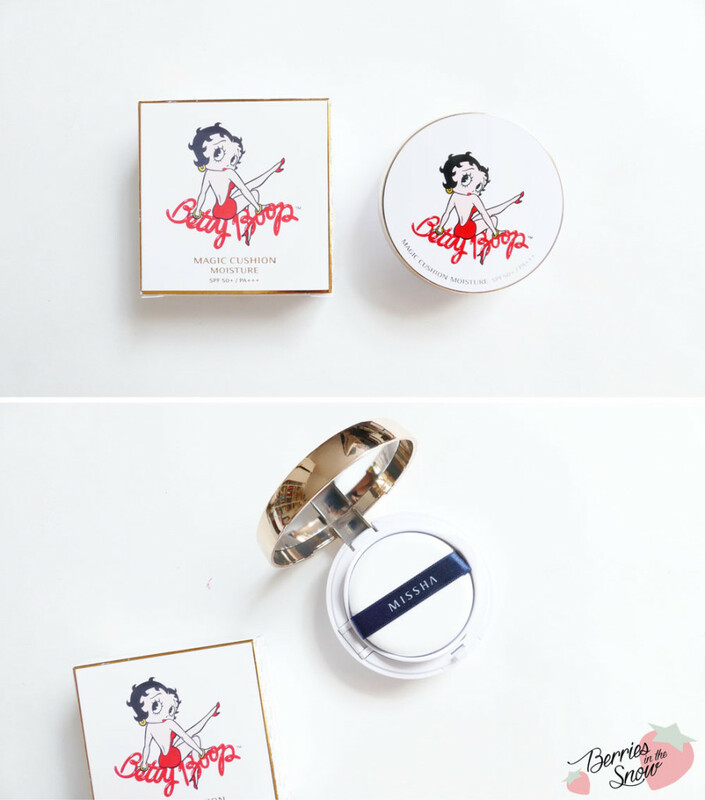 It has a moist texture, like the name already tells you, and is not as creamy as the regular Missha M Magic Cushion. 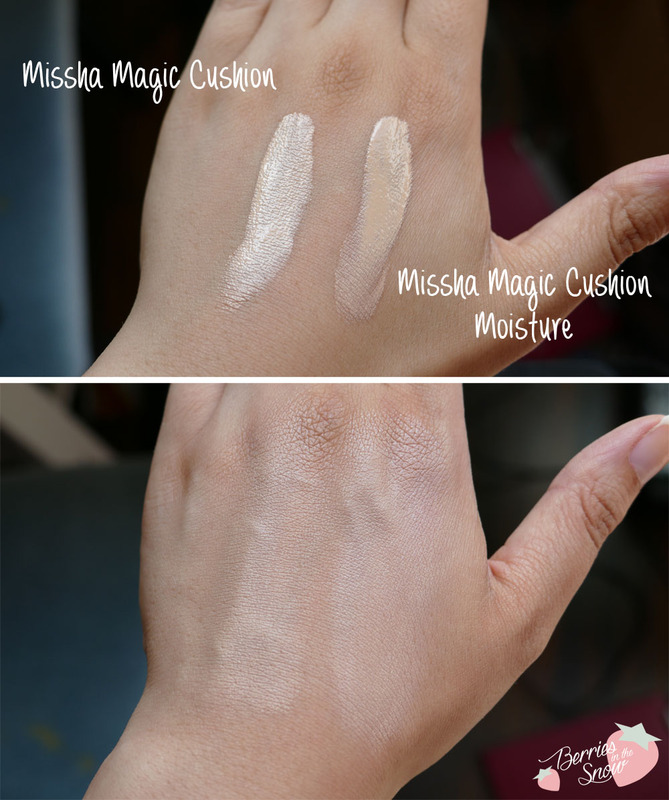 The soft, moist texture blends in a bit easier than the texture of the Missha M Magic Cushion, but both can blend in easily with the skin color. 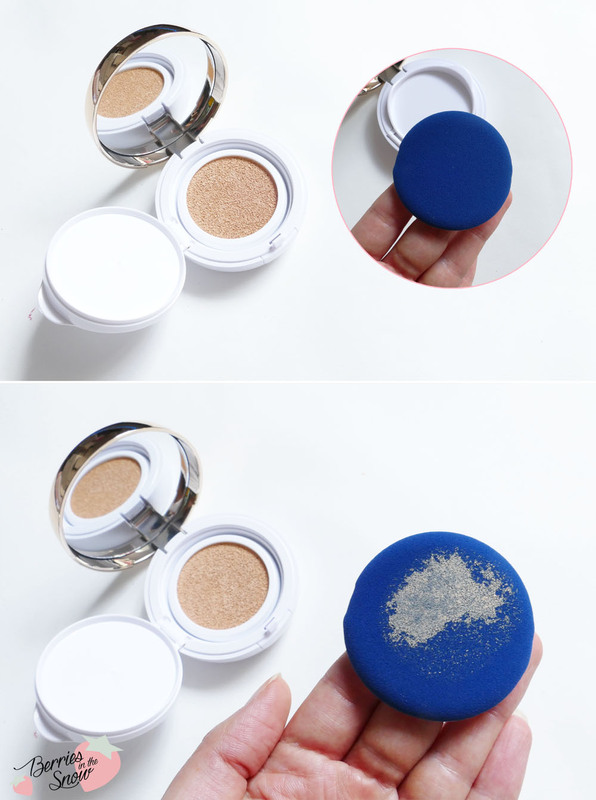 The finish of the regular Missha M Magic Cushion is a powdery/satin finish, whereas the Missha M Magic Cushion Moisture does not hide the natural glow of the skin. Below you can see how the Missha M Magic Cushion Moisture looks on my skin. It makes the skin tone even and has medium coverage. It is a natural finish and the skin doesn’t feel dry after using it but rather refreshed. A quick reminder though: the dewier the finish of a BB cream is, the easier you can see marks on your face when you touch it. Eg. when I’m using a tissue on my nose I usually try to blend in the BB cream on the sides of my nose by dabbing a bit with my finger. Usually, this already does the trick…and for any other moments, you can always put the cushion compact in your handbag and touch up in-between. I cannot say whether the regular Missha M Magic Cushion or the Missha M Magic Cushion Moisture is the better products because I like both equally. Usually, it depends on my mood and the finish I want to achieve. For hot days I prefer the satin finish of the regular cushion, but if the weather makes my skin feel dry I grab the moisture cushion. For those who want to have their favorite BB cream as a cushion, I can recommend you to try the Missha Magic Cushion Case, a DIY empty cushion, which makes it possible to create your own. I love using the Missha M Magic Cushion Moisture and I love the packaging! The finish is very natural and keeps your face’s natural glow, which I do like a lot. Moreover, the Missha M cushions are not too expensive. I got mine at W2Beauty for 11.07 US$. The refill is for 8.21 US$. For those living in the US, you might want to check out the prices Amazon, too. On testerkorea there is also the cushion plus two refills for around 10 US$ available. 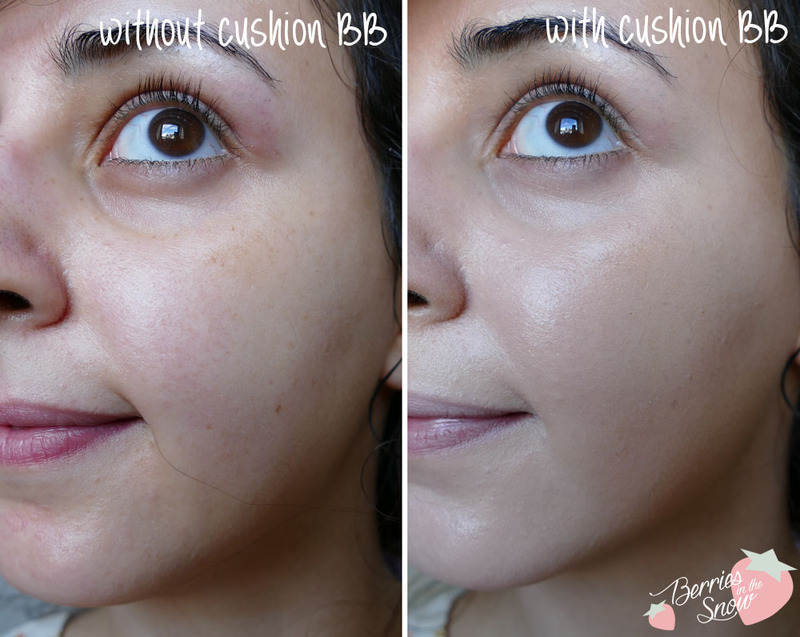 You have gorgeous skin anyway, but this cushion gives the perfect amount of coverage. Ich verwende zwar keine Cushions, aber nur schon das Design alleine, wäre fast ein Kauf wert :D Es sieht wirklich hübsch aus und ich finde es ja immer wieder toll, wie viele verschiedene Designs es mittlerweile gibt. First of all, I really like the rose gold colored rim instead of the usual silver color! The Betty Boop illustration makes it look even more eye-catching though I’m not really a fan of Betty Boop. To start with, the packaging is very adorable. I am really impressed after seeing your detailed photos with swatches and all. Looks like this will be great cushion for winter months. I’ve got the very same cushion as a gift, but the 23 shade is too dark on me. I wasn’t able to see the nice finish it has, because I was so focused on the color! I’ll give it to a friend for use – perfect gift now that fall is around the corner! :D Also, the packaging is just so adorable! I’ve got the same cushion, even the same shade! From a giveaway – so the color actually is a bit too dark for me even in summer. I’ll have to give it to someone else, it’s too adorable to just sit around uselessly in my drawer. It would be perfect for the coming winter! Omg I love the packaging! The Missha Perfect Cover BB Cream is probably the best BB cream I’ve ever tried. I’m slightly afraid to get cushions now since they never match me but I’m so tempted to get this one purely because of the packaging. I really like how this appears on your skin but I’m already over the dewy look but I might reconsider going back to that look since it’s getting chilly over here as the day goes by and my skin is getting drier. Can you tell me if there’s any ability to put a refill into a Missha M Magic Cushion case? I don’t mean the one with the whole silver lid. I found that Missha makes refills but don’t know to which case it will fit…Thanks in advance for your answer. Wow, the moisture cushion looks amazing. Beautiful glowing skin. I love your detailed reviews and clear photos to see the coverage. Can you please tell, which shade are you in MAC? Is the Missha cushion yellow tone or grey tone?